The recent suicide of two icons – fashion designer Kate Spade and celebrity chef and author Anthony Bourdain – once again brings the topic of suicide to the public conscience. While neither of these icons was known to suffer from chronic pain, severe depression is strongly linked to suffering, both physical as well as emotional. 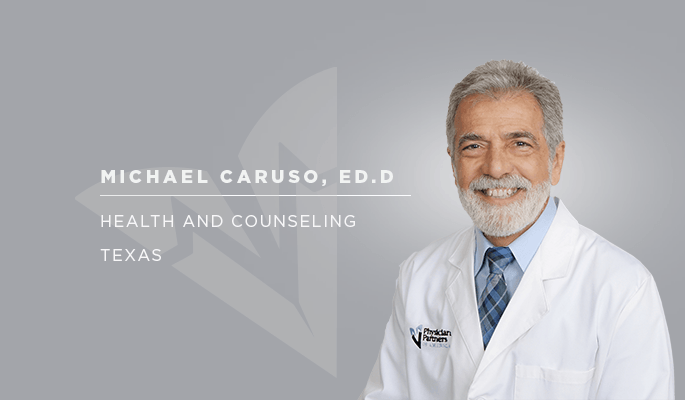 This is the specialty of Michael Caruso, Ed.D, a psychologist with 35 years’ experience, who runs Physician Partners of America’s Mental Health and Counseling practice in Texas. Dr. Caruso sees hundreds of patients a year who struggle with the psychological effects of chronic physical pain and opioid addiction. He also works with our physicians to prepare patients for interventional pain management treatments. Here are his thoughts about pain, suicide and how to help someone who is going down a dark path. Are you seeing more patients contemplating suicide? We are seeing an increase of patients who are feeling more depressed, and more suicidal. Our increase of suicidal behavior began before the recent deaths of Kate Spade and Anthony Bourdain. Patients come to PPOA to get off of opioid medications and address their pain in other ways. What psychological issues are you seeing with these patients? Many patients who have been faced with the fear of not having adequate pain management have become more depressed and have more thoughts of suicide. They’re afraid they will not have adequate pain reduction with non-opioid treatments, and begin to catastrophize and experience fear and anxiety. They believe they would be facing a life of constant, unbearable and severe pain. What other fears do they have? 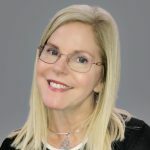 Many patients hear about the opioid crisis through the media, and begin to fear that they will be lumped into the group of patients who are abusing opioids, and using opioids illegally. As is common with patients who are in psychological crisis, they may jump to conclusions, catastrophize, disqualify positives and magnify negatives. Wouldn’t they just talk to their physician? Most patients may have such great fear and depression, they may not discuss this with their treating physician, assuming that they will be rejected or rapidly weaned off of opioid medication. Sadly, some may move to street drugs, like heroin. How can these patients be helped? With an accurate psychological assessment, we are able to address their distorted thinking, and process their fears. This allows them to have a more optimistic reality. What do you address first? Cognitive distortion. It is very common in patients with severe depression and suicidal thinking. They don’t realize the underlying distortions of their thinking. This allows their wall of blackness, so to speak, to become much greater than it truly is. We talk about the many treatment options we have at PPOA and Texas Pain Relief Group – options they may not have been aware of. We also tell them about treatments that are on the FDA’s horizon for approval. We give them a realistic hope for their pain. What can someone do if they suspect someone they love is suicidal? It is helpful to ask a person who may be depressed or appears suicidal if they are, in fact, thinking of suicide or hurting themselves. It’s that simple. Sometimes a patient will deny that they are thinking about suicide; but there are warning signs. What are some suicide red flags? A person who is becoming increasingly angry, irritable, withdrawn, isolating, talking about a future of constant and unbearable pain – wither physical or emotional, or who have suffered significant negative life events. Are you talking about something obvious, like a death in the family, or job loss or divorce? Yes, but it’s very important to be aware that a person may be discussing a significant and unbearable life event that may not seem significant to anyone else, but is in fact a major life event for them. It’s important to ask questions and listen for clues. What are some other triggers to be aware of? For many people, social media can be a catalyst. The unrealistic comparison of their life to the lives of others can be significantly depressing. For others, simply hearing of the suicide of another person can trigger a cascade of thinking that leads to negative thoughts and the option of suicide. It’s important to reach out and give a depressed person a safe place to talk about what they are thinking and feeling. It might save a life.